Ensuring optimal levels of productivity within a workspace is no easy task. There are an incredible number of factors involved, some of which are beyond your control. If an employee is having problems at home that occupy their thoughts, you can’t do much more than give them a personal day to try to rectify the situation. However, there are plenty of areas where you can take steps to improve productivity on a daily basis, starting with the office environment you create. The right workstation layout can have a major impact on productivity, and there are several ways you can plan for a layout conducive to enhancing efficiency and performance. Understanding what your employees do and how they utilize work space is essential to creating proper workstation layout, whether you’re measuring the square footage needed for each cubicle or desk area or you’re considering the optimal size of desk you’ll need and how equipment should be arranged. 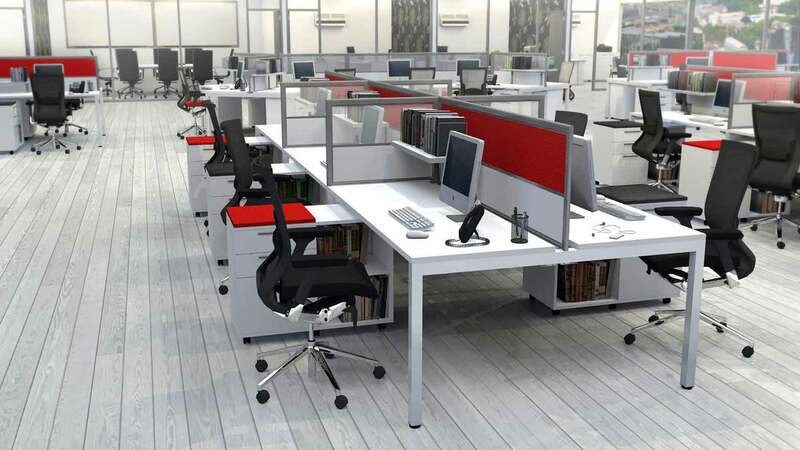 The work area and furniture assigned to each employee should be adequate to accommodate the work they must do. Clutter can be a productivity killer, so you want to make sure each workstation is outfitted with the organizational tools needed to ensure organization and efficiency. This could include furniture like shelving and filing cabinets, or desktop and drawer organizers that coral cables, contain pens and pencils, and house loose papers until they can be addressed or filed away. Productivity can be hampered by discomfort, which is why ergonomic solutions have become an essential part of the office layout. Ergonomic keyboards can help to eliminate repetitive motion injuries, for example, while ergonomic chairs and adjustable desks can reduce instances of back and neck pain, which are among the most common complaints from desk jockeys. With the right ergonomic office solutions, you’ll create a work environment conducive to greater comfort and productivity. Technically, this has little to do with the actual layout of the workspace, unless it centers on desktop task lighting, but having abundant natural lighting is one of the most important factors when it comes to increasing productivity, so it bears mentioning. Our circadian rhythms are based on cycles of light and darkness, so when we find ourselves in a poorly lit environment, it’s only natural that we start to feel sleepy. However you arrange your workstations and work surfaces, you need to find ways to imbue your space with natural light, as well as artificial lighting that mimics the sun. When paired with suitable workstation layouts, this element could significantly boost productivity.